Sure, Hawaii is gorgeous and invites aerial sightseeing. There's more, however. Glider flying, floatplanes, open-cockpit biplanes, aerobatic machines and helicopters can be found here as well. Helicopters whirl above all major islands, but Oahu is the place to find most other exotic flying machines. The question here is whether you are seeking a learning experience or a thrill. Flights mentioned here will give plenty of both, but the emphasis is typically on one or the other. The Cap10 makes a fine aerobatic trainer. Nimble performance and side-by-side seating is perfect for the instruction environment. 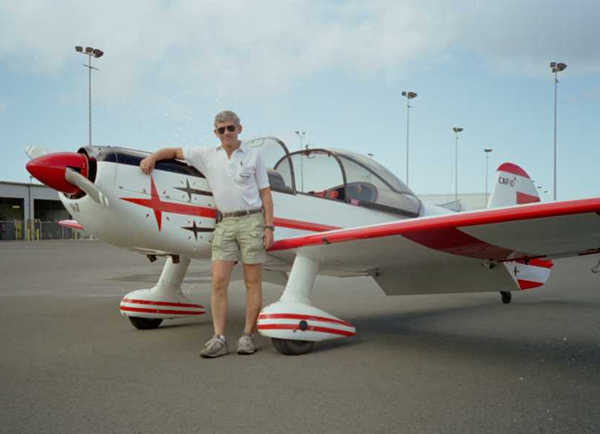 Hank Bruckner would be happy to work with you on an aerobatic safety course or a more involved acro experience. Flights originate at Honolulu International. Contact Kaimana Aviation at (808) 836-1031 or visit their web page at www.kaimanaaviation.com. It has a bubble canopy, accelerates likes a hungry African cat and climbs effortlessly. This is the next best thing to flying an F-15. Clint Churchill enjoys showing others what this magnificant machine is capable of. See a lomchevok from the inside, or experience the adventurous "cravat" maneuver. Flights last approximately 40 minutes and depart Honolulu International. Acroflight inc.can be reached at (808) 254-1479 or via the web at http://home.hawaii.rr.com/acroflight/index.htm. Tsunami Aviation will take you aloft in a Pitts S-2-B for a thrilling aerobatic flight. All sorties begin at the Dillingham Airfield on the North Shore of Oahu. Call (808) 677-3404 or visit www.honolulusoaring.com. 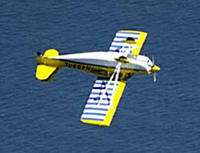 WingoverHawaii offers aerobatic flights from the Kailua Kona Airport in their 1998 Super Decathlon. Their web site at www.wingoverhawaii.com provides a very nice summary of maneuvers, click on their aerobatic mauevers link to see them. Phone (808) 936-1809. Honolulu Soaring- Offers SGS-126 and SGS-2-33 instruction and rentals. Contact at (808) 677-3404 or www.honolulusoaring.com. 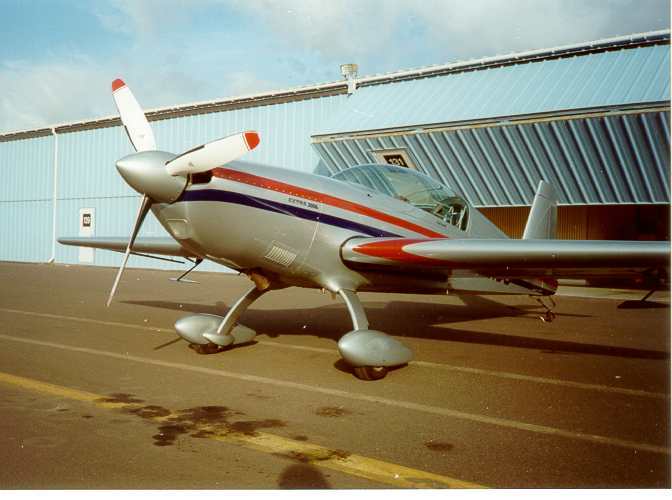 Soar Hawaii- Offers Grob103, SGS-2-32 and SGS-2-33 instruction and rentals. Contact at (808) 637-3147 or www.soarhawaii.com. For years those magnificent sealanes cut into Kehii Lagoon went unused. 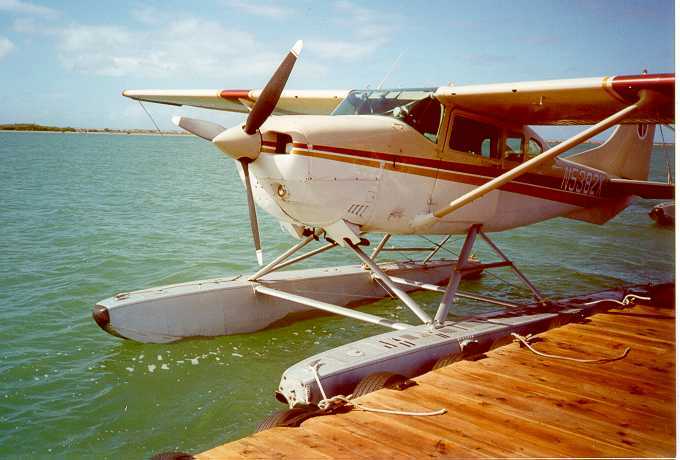 Drive down Lagoon Drive by Honolulu International Airport these days, however, and you'll notice a floating dock with a C-206 and DeHavilland Beaver on floats. Pat Magie brought these birds down from Alaska. He mostly uses the Beaver for giving tours, but instruction is available in the Cessna 206. Should you desire to work on your float rating while in Hawaii, give Pat some lead time. Call (808) 836-6273 or send an email to seaplane@lava.net. Web site is www.islandseaplane.com. OAHU- Open-cockpit flying magnifies the sensation of flight about five times over. What better location for enjoying such a flight than in Hawaii. 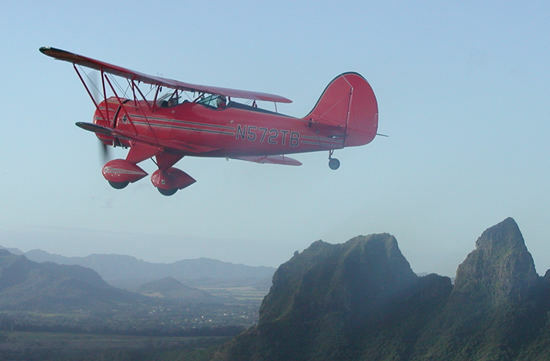 As with many of these exotic air adventures, flight originate at Dillingham Airfield on Oahu's North Shore. A variety of flights are available, but the one which most pilots talk about is the retracing of the route taking by some Japanese attack planes in the 1941 raid on Pearl Harbor. Pilots get plenty of stick time during the enroute portion of the flight, should they desire. Contact Stearman Bi-plane Rides at (808) 637-4461 or www.peacock.com/biplane. KAUAI- Open-cockpit flights are available on Kauai as well. Could you imagine overflying the beauty of the NaPali Coast from the open-cockpit of this WACO YMS? Kevin Britt or Howard Trickey would be pleased to take you aloft from the Lihue Airport. Frustrated by the unavailability of rental aircraft on Kauai? If you would like some stick time, let whomever schedules you know, and the pilots will ensure a stick is available up front. 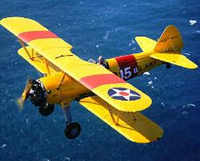 Call Tropical Biplanes at (808) 246-9123 or www.tropicalbiplanes.com . Some of the most amazing scenery in Hawaii is located up narrow canyons of the outer islands. It is unhealthy to fly a light aircraft into such places, but many of these sights are accessible by helicopter. The business has become so competitive these days that operators have had to refine their products. Expect to wear noise-cancelling headsets and listen to appropriate music as you take in the waterfalls and cliffsides. How to find a helicopter tour operator? They're everywhere. Just pick up a tourist "What to do" magazine and you'll have no problem finding a dozen operators.